I have such exciting news to share today!!! 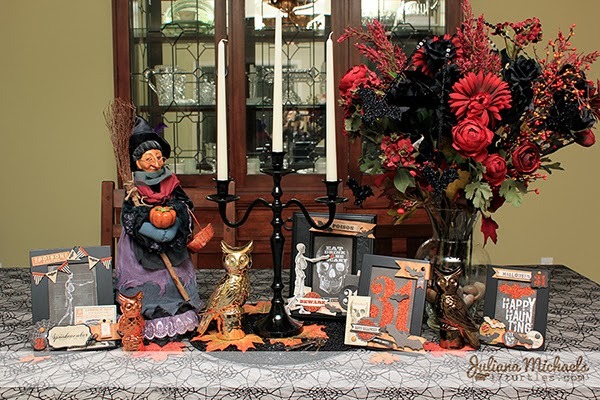 I was up on the My Mind's Eye blog yesterday and again today with my Guest Designer post! Several months back they contacted me and asked me to be the My Minds' Eye October Guest Designer. Of course I said YES while jumping up and down and totally doing the happy dance!!! I have loved My Mind's Eye for as long as I can remember, so this opportunity felt like a dream come true!!! 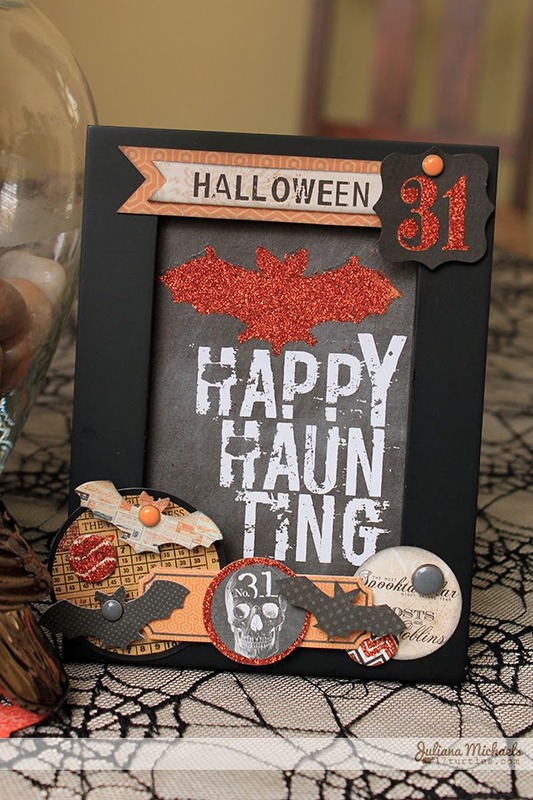 Since I absolutely LOVE Halloween, I HAD to create a couple projects using their Happy Haunting collection to help decorate my home for our upcoming Halloween party! I absolutely love the mix of chalkboard and orange glitter that is used throughout this line!!! 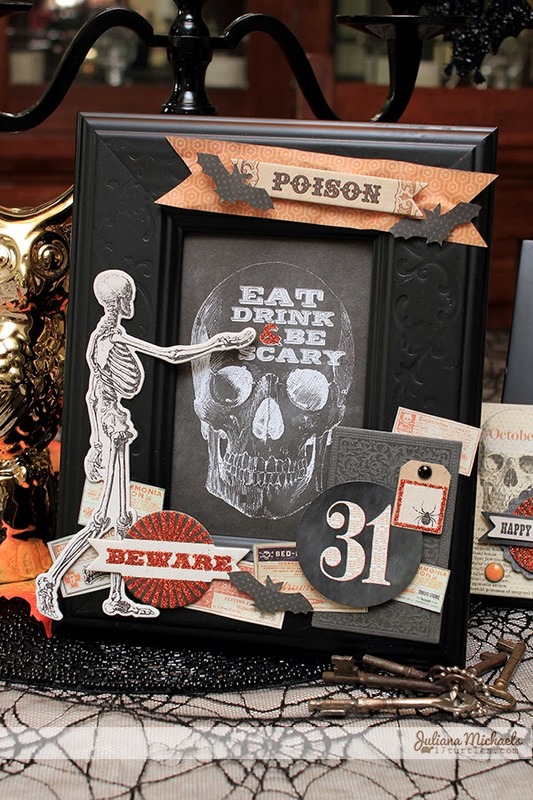 Besides these Halloween projects, I also created four layouts using the Cut and Paste collection. I will be posting each of those layouts separately starting tomorrow and over the next few days after, so that I can share more details on how I created each project. I will also have some FREE cut files for you to download, so stayed tuned for that to begin tomorrow!!! 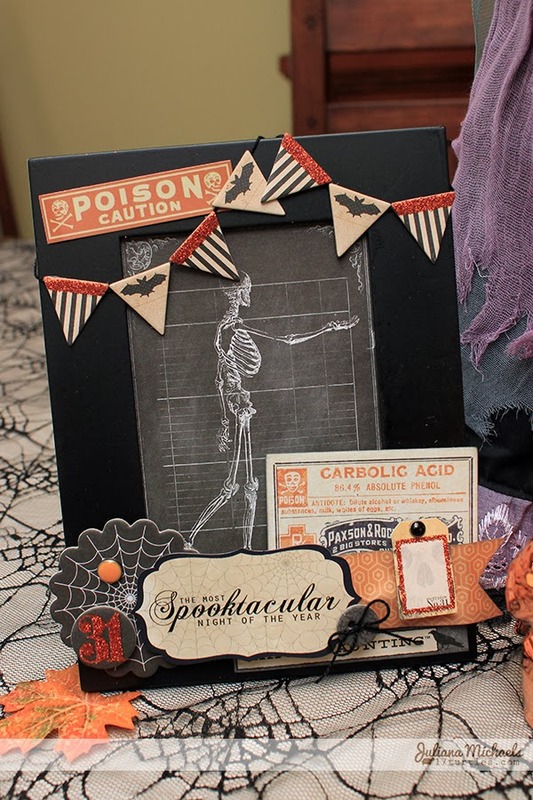 This first project is a set of Halloween Altered Frames. I used an assortment of 4x6 photos frames that I already had. Some of them were already black, but the ones that weren't I gave a coat of black spray paint before I began to decorate them with the paper and embellishments from the Happy Hauntings collection. 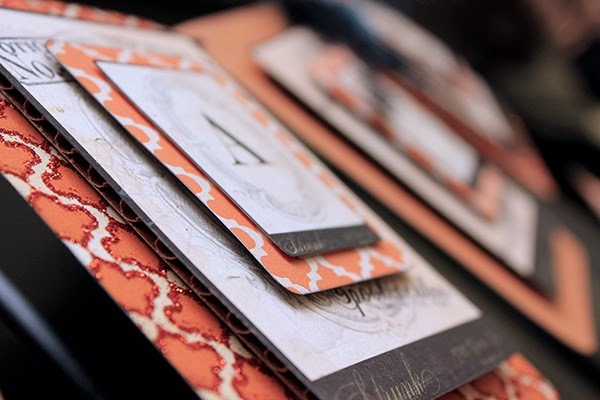 The images inside the frames were cut from the "Cards" patterned paper. I then added the stickers, chipboard and other embellishments to further decorate the frames. Now for my second project, a Scary Spooky Halloween Banner! 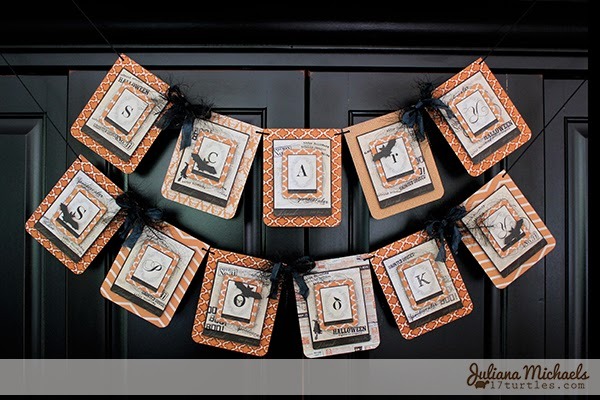 I created this banner, by cutting out the letters from the "Spooky" 12 x 12 patterned paper and from the same print in the 6x6 Paper Pad. 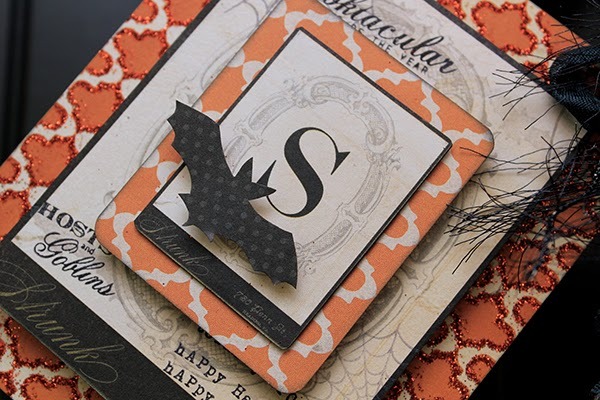 The tiny bats that I used to embellish some of the letters are fussy cut from the back side of the "Word Art" Paper in the 6x6 Paper Pad. 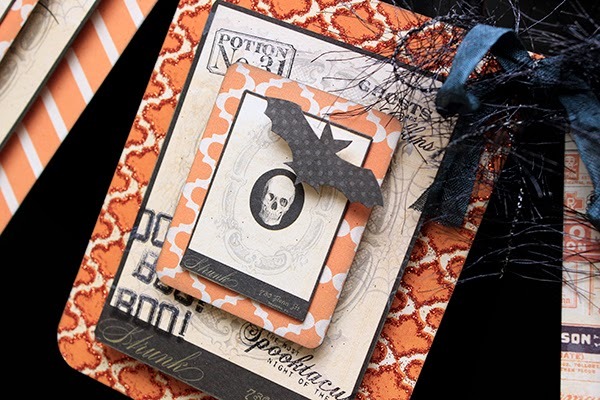 If you look closely you can see that I stamped the images from the Happy Haunting Decorative Stamps with both grey and black ink on the "Spooky" Paper before I attached the other layers. I layered the different pieces together with materials varying in height to help give it more dimension. Some of the things I used were chipboard, cardboard and double sided foam tape. I hope you liked my Halloween creations! And make sure to stop back by tomorrow for a FREE digital cutting file!!! WOW!! Gorgeous projects! Congrats on the guest DT! Your projects are all too cool! Love them all! I just left a comment over there and I have to say... they totally PICKED the PERFECT GUEST for that collection!! You are ROCKING the Halloween!!!!!!! Awesome projects Juliana!! 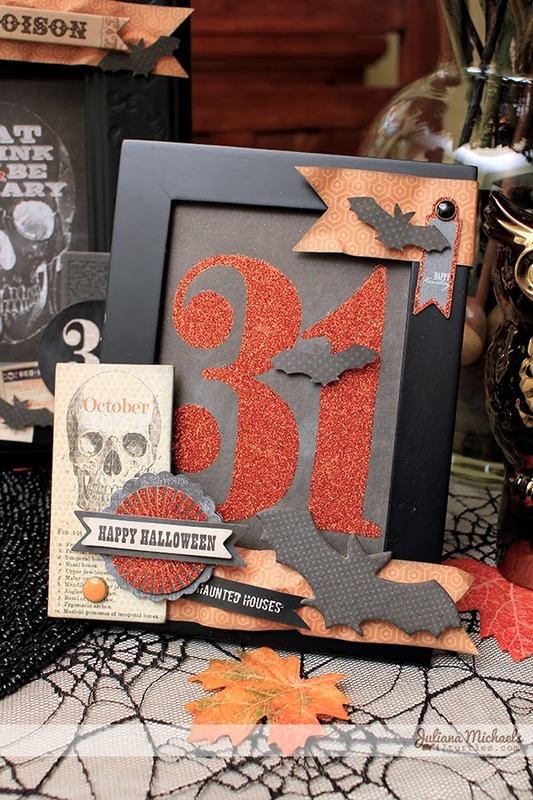 Love how you used the Halloween collection and your layouts on the MME Blog were all awesome!! Congrats on guest designing! !